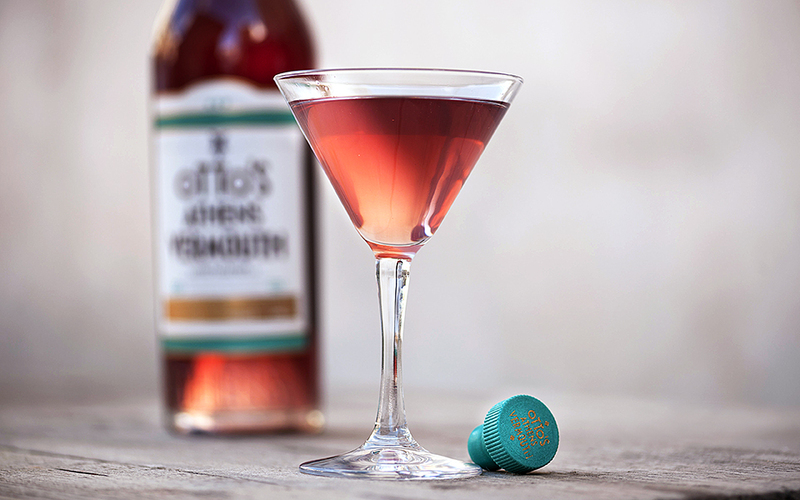 The world is looking at you, Otto's Athens Vermouth. In less than a year, Nikos Bakoulis' and Vasilis Kyritsis' vermouth has made a name for itself. It’s called Otto’s Athens Vermouth. It’s been on the market for less than a year, yet has already managed to bring home a silver medal in the aperitif category at the World Spirits Competition in San Fransisco. How Nikos Bakoulis and Vasilis Kyritsis, the award-winning bartenders of the Clumsies (an Athens bar rated the 9th best in the world), managed to do so much in so little time, has to do with history. They took inspiration from a vintage recipe once used in Athens’ very first distillery. Otto’s was ranked among the top 30 out of 1.407 participating spirits from 63 different countries. You can find the award-winning vermouth at most liquor stores throughout the country, as well as in many top bars in Greece and abroad where it is already being used as a basic ingredient in outstanding cocktails; chosen for it’s balanced taste and notable rose fragrance.